The arrival of fall in Istanbul usually means one thing for us: hamsi season is about to begin. 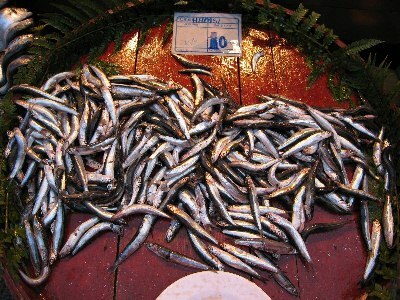 Hamsi, of course, are the minuscule fish (Black Sea anchovies) that Istanbulites are mad about, and the coming of fall and the cooling of the waters of the Black Sea mark the beginning of the best time of the year to eat the little suckers. In honor of hamsi season, we offer a list of six of our favorite places to try these tiny fish. The rest of this previously featured roundup can be found on CulinaryBackstreets.com, here.